It’s December! How did that happen already? With the holidays quickly approaching, you’re busy (and I’m busy! )… all the more reason to have a super quick energizing breakfast ready to go in the morning. This recipe takes less than 5 minutes to put together at night and it’s ready in the morning. Admittedly, I was late to the overnight oat craze, but I’m pretty obsessed now. What I love is that they’re creamy without being gummy and the flavor combos are endless! I love this version with blueberry jam that I made in the summertime – this fall/winter apple version is just as delicious but totally different. 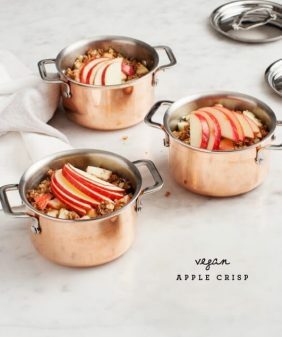 It’s just oats, almond milk, diced apples with a little lemon, and your favorite granola. It’s amazing how something so simple can be so satisfying. I’ve been keeping these stocked in my fridge (they last up to about 3 days) for both myself and Jack. 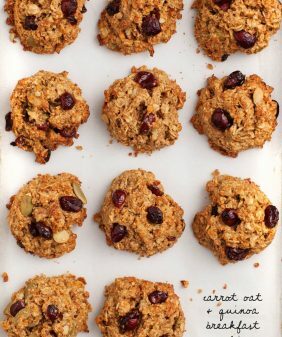 This recipe was inspired by one from the Quaker Oats website where there are lots of fun ideas for overnight oat combinations. 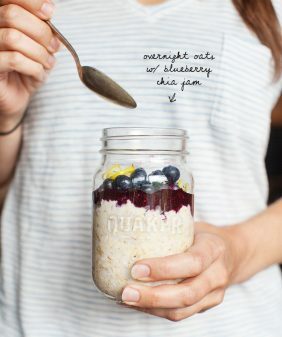 And for even more overnight oats ideas, check out this post with overnight oats, many way! Speaking of holiday craziness, this weekend we got the chance to get a head start on our holiday shopping at the Renegade Craft Fair in Chicago at the Bridgeport Arts Center. Since moving back here, we’ve been enjoying exploring everything that Chicago has to offer, but we especially loved this event because it had a very art-y Austin-y vibe :). There was sunshine, beautiful goods, creative craftspeople, and even a few food trucks. Of course, I nabbed some pretty ceramic plates before we left. Such a great day! 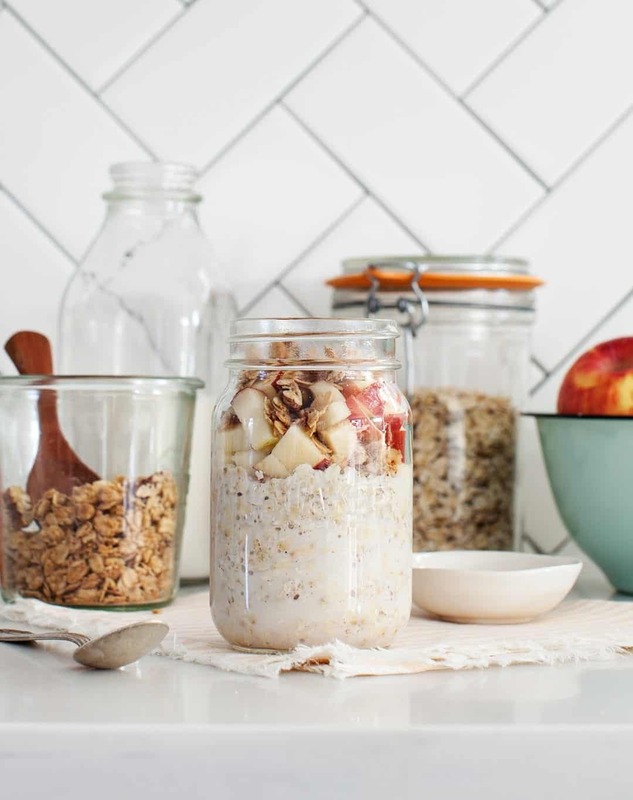 I love this Apple Cinnamon Crunch Overnight Oat recipe for a simple breakfast in fall. Feel free to use your favorite seasonal fruit in place of the apples for a healthy breakfast all year round. 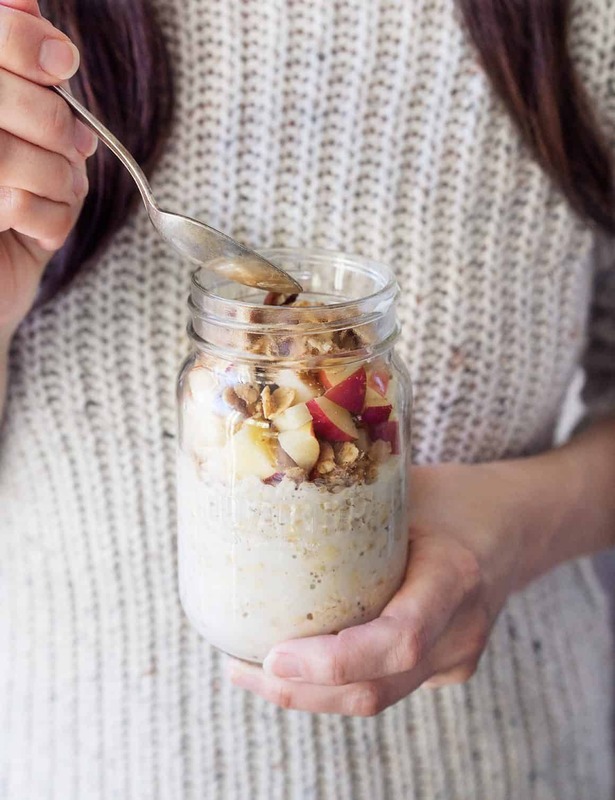 Combine the oats and almond milk in a jar. Toss the apple with a little bit of lemon juice and add it to the jar with a sprinkle of cinnamon. Chill overnight. 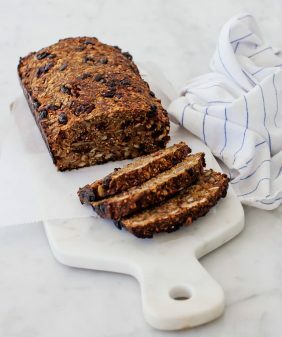 In the morning, top with granola and a drizzle of honey or maple syrup. This post is in partnership with Quaker – all opinions are our own – we love oats and we had an especially fun time at the Renegade Craft Fair! What a great recipe for an on the go breakfast. I love some good oats. Love the sound of this. Thank you for sharing. looks super yummy! can you use cow milk? I prefer my oats warm. Can this recipe be warmed up in some fashion; e.g., microwave, stovetop, oven? I would just heat it up in the microwave in the morning until warmed through. 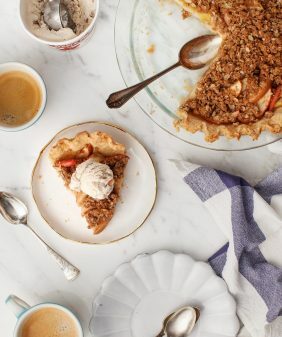 Nice recipe and interesting post too, nice to get your own name brand, from the source (Quaker Oats) too! 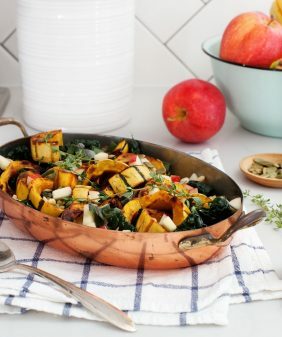 I’m ALL about the quick and easy breakfasts this time of year, so I’m all over this! I love that these have a little crunch to them! I make this combo all the time minus the granola. It’s a must this time of the year. Smart move adding the lemon! Overnight oats maybe my new jam! I leave my house at 7am to make it to work by 7:40, I’m not a big breakfast eater. I can’t wake up any earlier than 6, my body just wont hah. This would be a great idea! I’ve pinned it and can’t wait to try it.